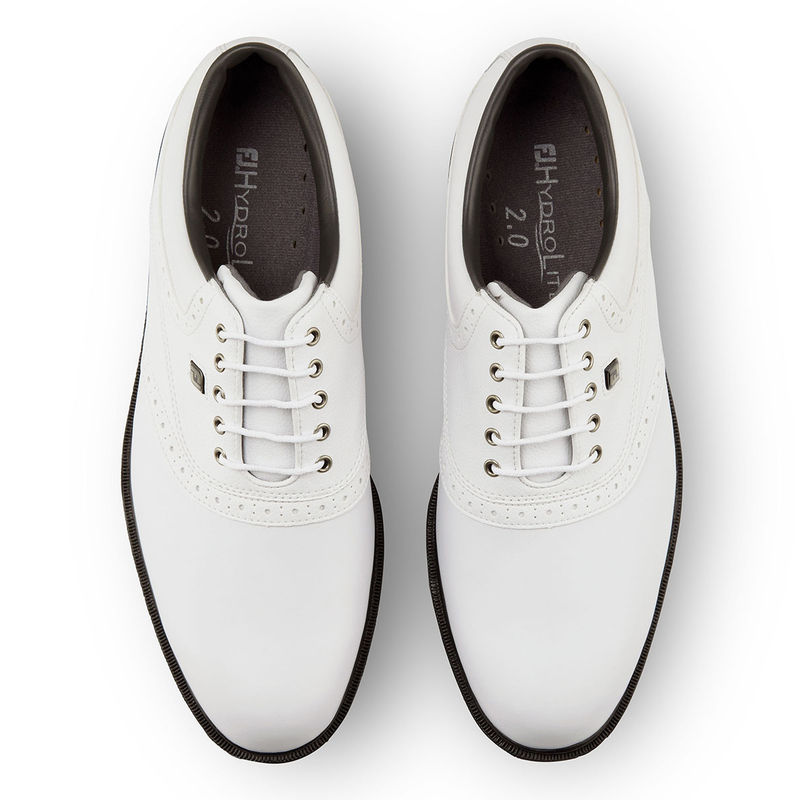 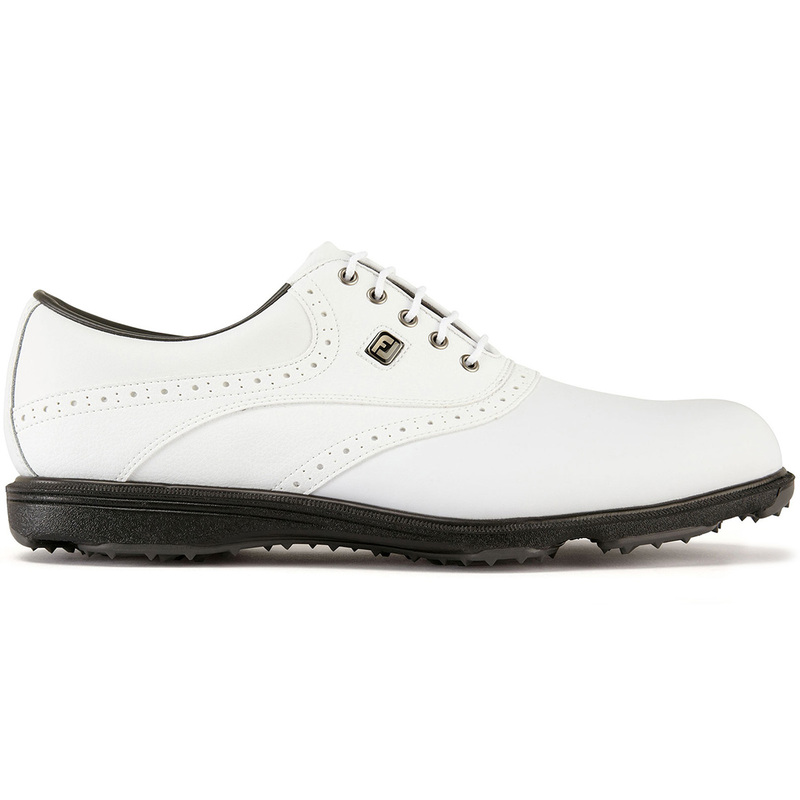 A classic style looking shoe with modern materials to provide excellent waterproof performance and extreme comfort on the golf course, the Hydrolite 2 is a must have this season. 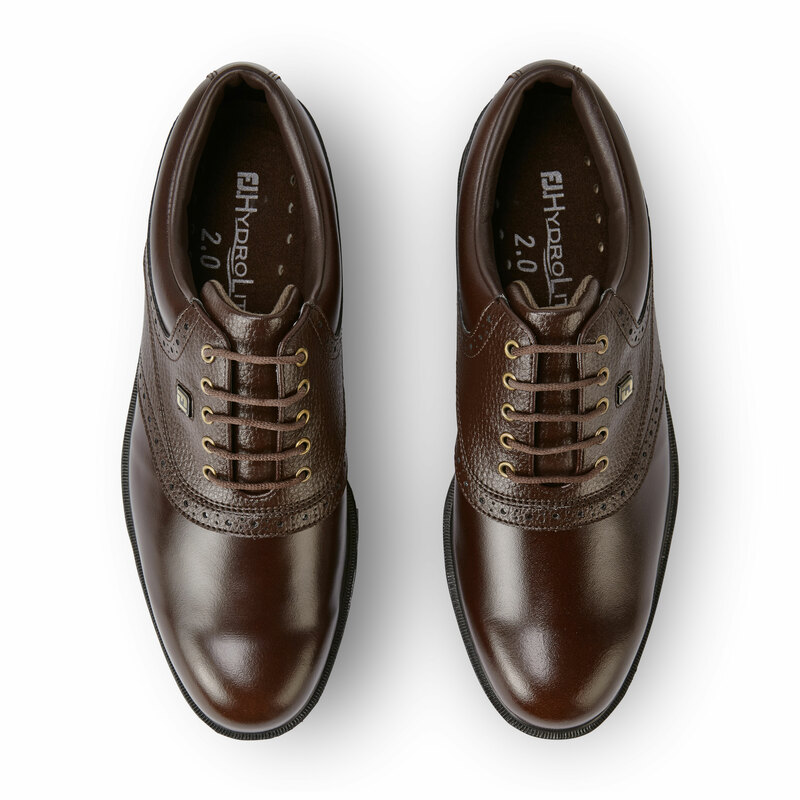 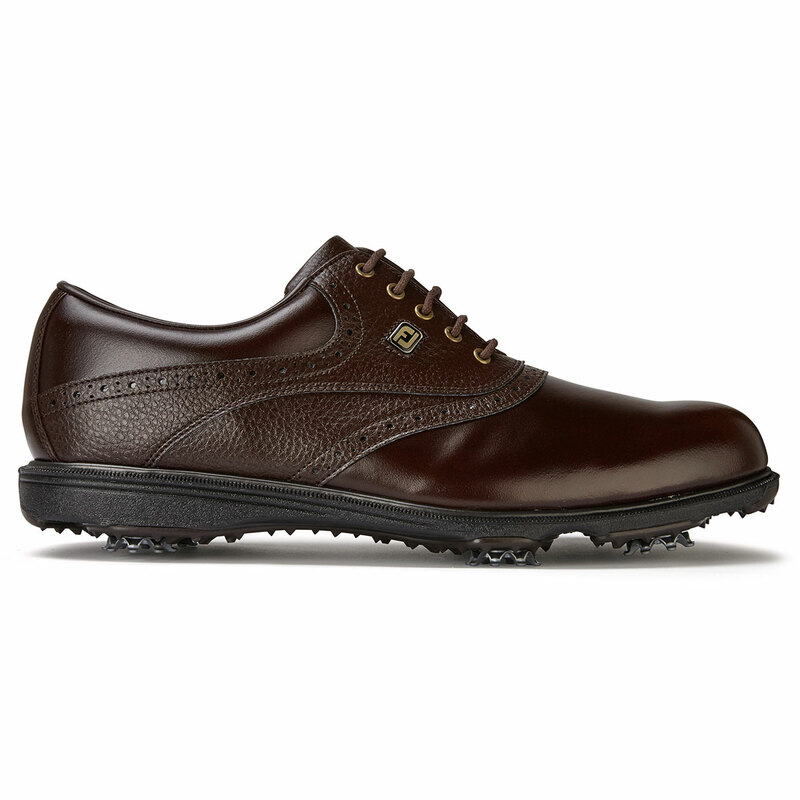 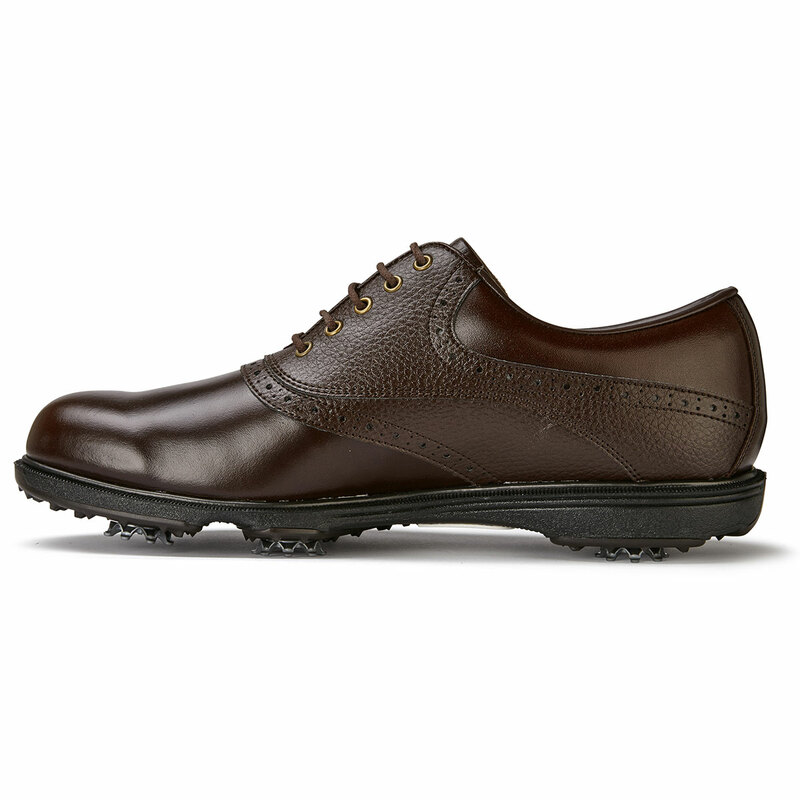 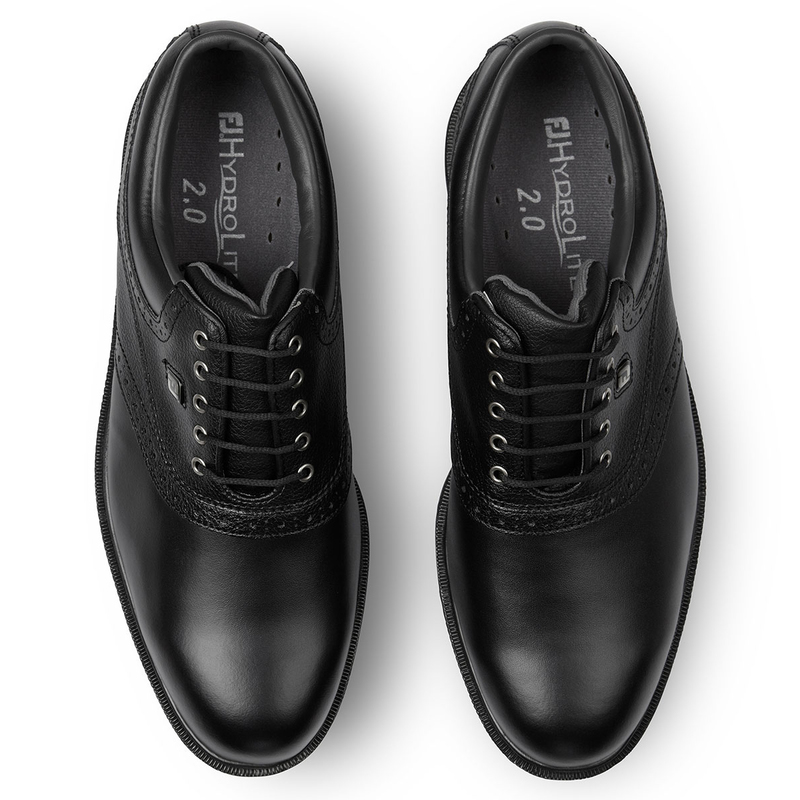 The full grain leather uppers ensures waterproof performance without sacrificing breathability and comfort. 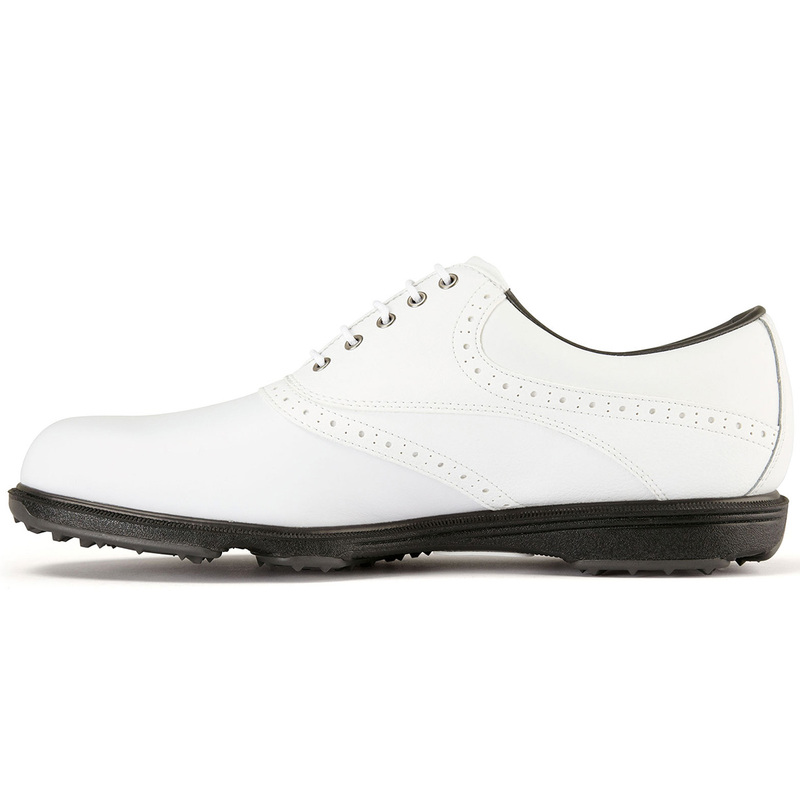 The laser last provides a full rounded toe character, standard fit across forefoot and instep, with a slightly narrow heel. 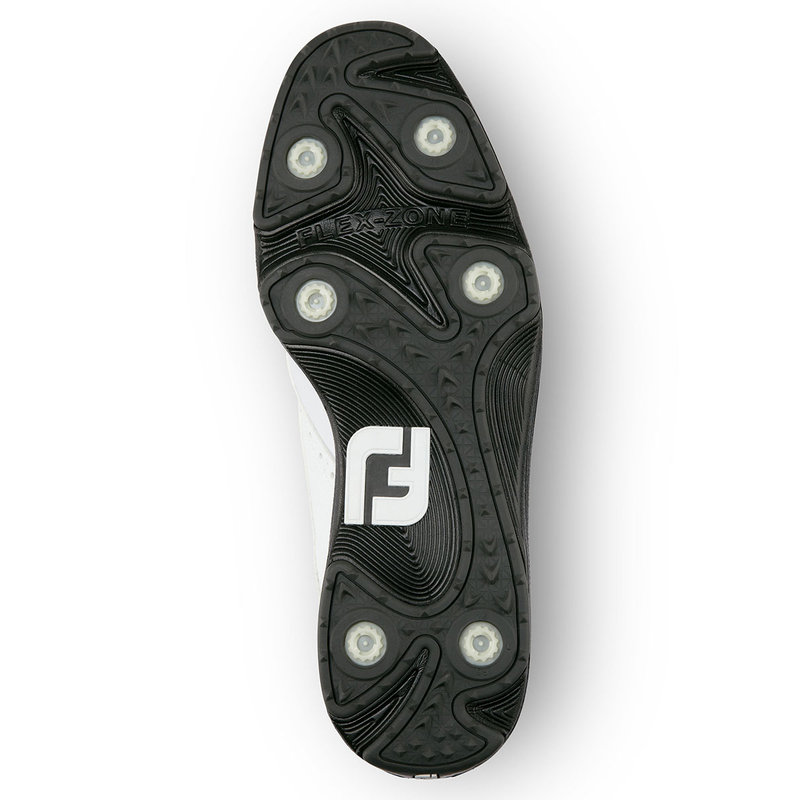 The Laser Last is a composite of thousands of digital scans of the FootJoy Laser Fitting System. 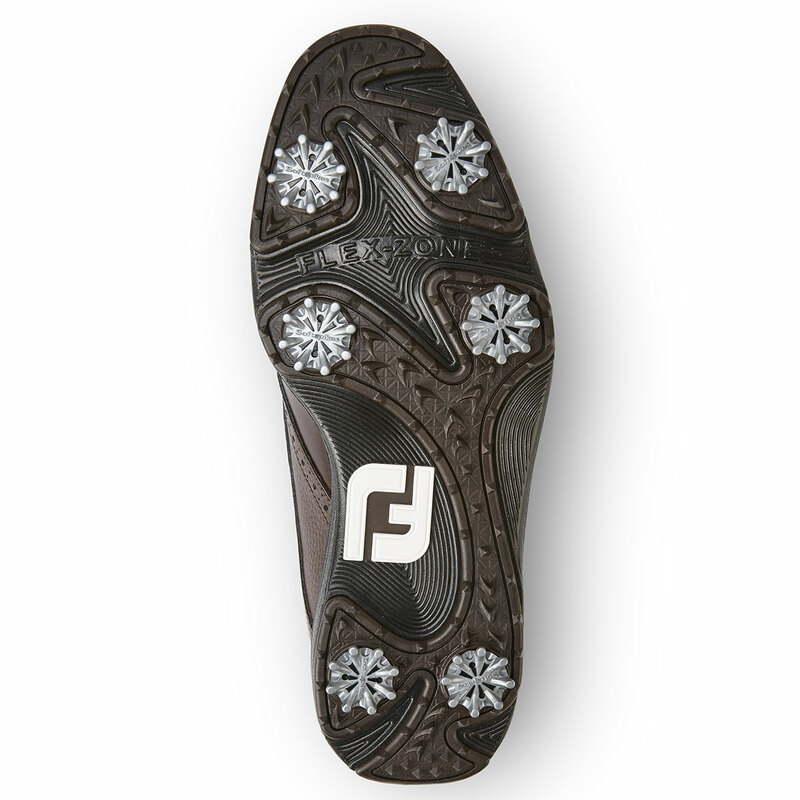 The DuraMax outsole is a proprietary rubber compound that provides turf gripping performance and durability. 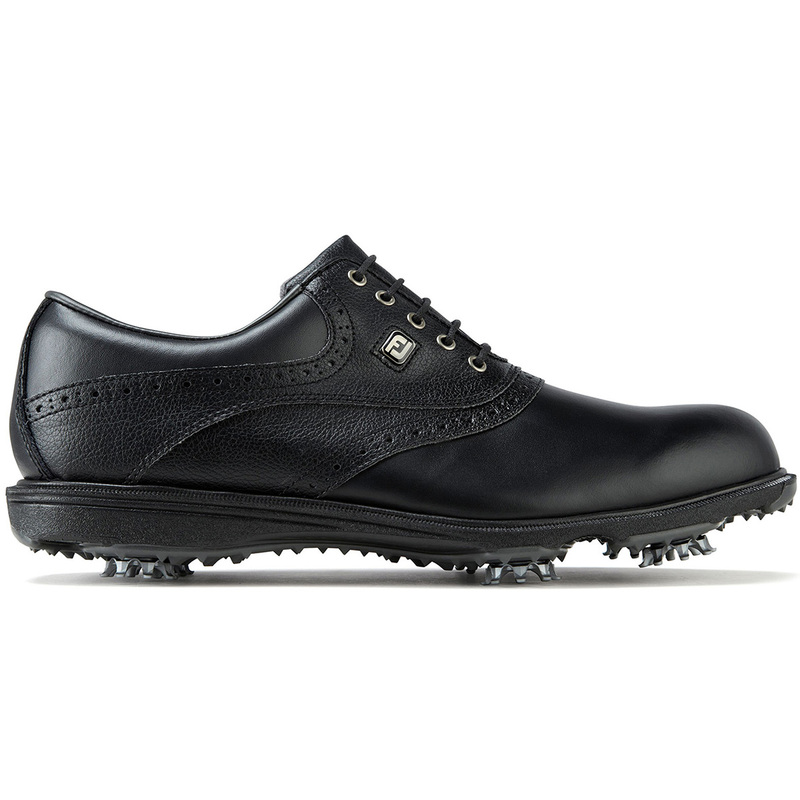 These shoes come equipped with Pulsar cleats by Softspikes, which are the number 1 selling cleat in golf and the overwhelming choice of touring professionals worldwide. 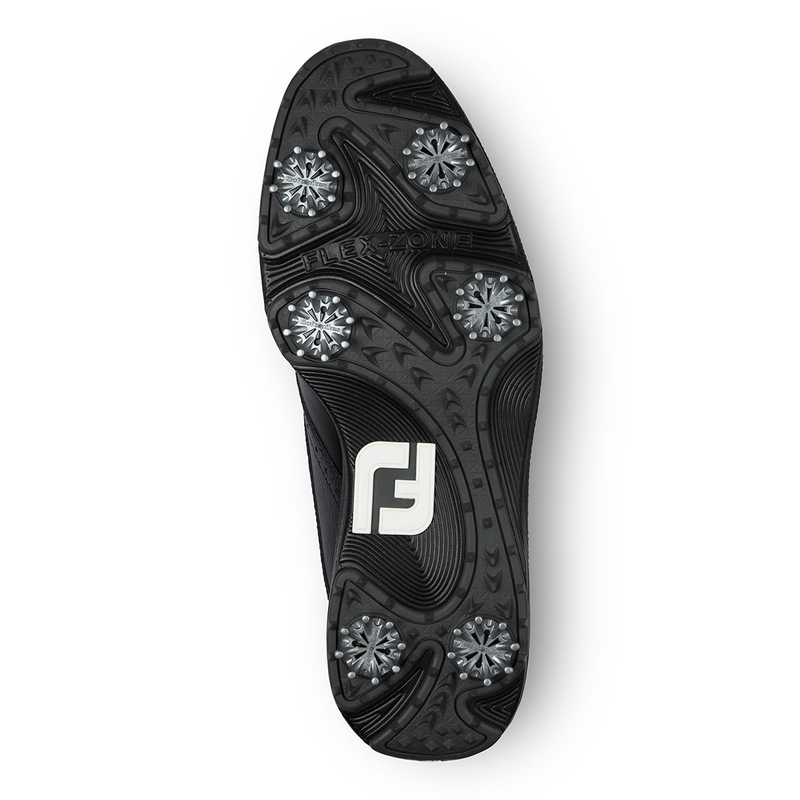 The Pulsar cleats feature all the same turf grip and walking comfort advantages of Black Widow plus the additions of and radiused legs for extra durability and cleat webbing for easier cleaning. 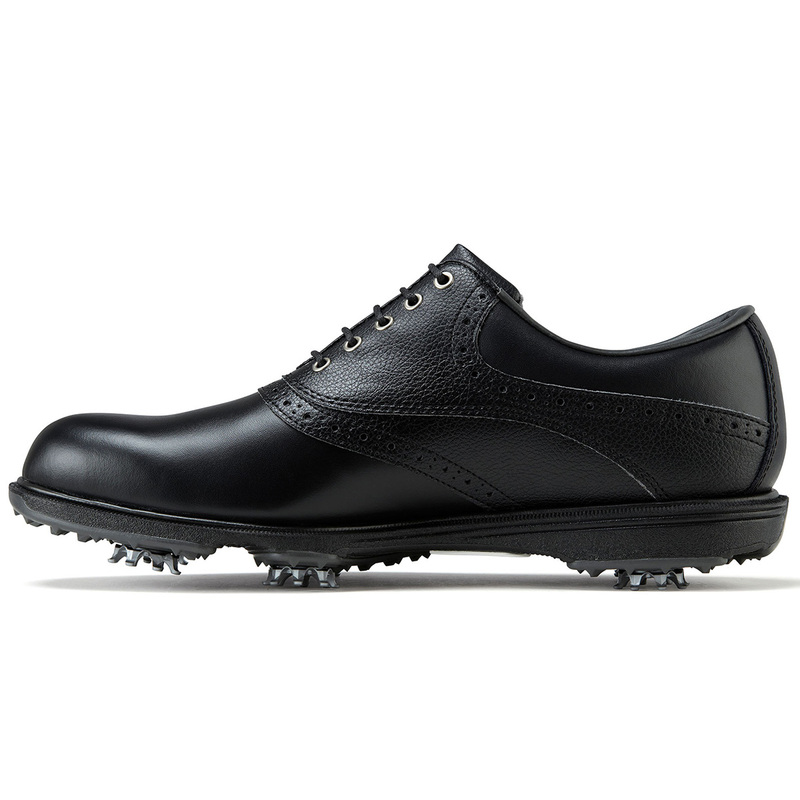 Lastly, the TourLock boasts unparalleled cleat/receptacle retention resulting in these cleats remain in shoe under the toughest of conditions.